The Homicide Squad reports the arrest of a Hempstead woman on Wednesday, April 23, 2014 at 7:35 p.m. in Hempstead for Leaving the Scene of an Accident. Hempstead, NY - April 24th, 2014 - The Homicide Squad reports the arrest of a Hempstead woman on Wednesday, April 23, 2014 at 7:35 p.m. in Hempstead for Leaving the Scene of an Accident. According to detectives, on Monday April 21, 2014 at 4:40 a.m. the defendant Gregoria Canales-Bonilla, 32, of 485 Front Street was operating a 2000 Ford Explorer northbound on Greenwich Avenue when she crossed over the double yellow line, striking a 2008 Ford that was travelling southbound on Greenwich Avenue. Canales-Bonilla abandoned her vehicle at the scene and fled on foot in an unknown direction. A 24 year old male passenger in the rear of the Ford suffered fatal injuries as a result of the accident. Detectives located Canales-Bonilla on Wednesday, April 23, 2014 at 7:35 p.m. at her residence and placed her under arrest without incident. The defendant is charged with Leaving the Scene of an Accident with Death. She will be arraigned on Thursday, April 24, 2014 at First District Court in Hempstead. 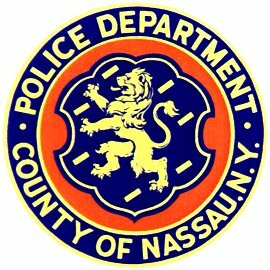 Subject: LongIsland.com - Your Name sent you Article details of "Hempstead Woman Arrested for Leaving the Scene of Accident While Passenger Died in Car"